Providence Church centers around its founder Jung Myung Seok, also known as Joshua Jiang or Joshua Lee (1945-present)1. Seok claims to have received special revelations from God which led him to establish a church in Korea in the late 1970s. He laid these teachings out in a series of 30 lessons from which initiates are to learn the “spiritual” truths regarding God and His purposes for mankind, finding hidden meaning in various Scriptures (called “parables”), ultimately leading to the view that Seok is the Messiah, the “Lord” of the Second Coming, and the one today who has reached the same level of intimacy with God as Jesus did. While outwardly claiming to be Christian, the teachings of Seok and Providence church are at odds with Christian understandings of Jesus, His mission, resurrection, and God’s purposes for the creation and mankind. Providence Church began in South Korea but has made significant inroads in Taiwan, Japan, other parts of Asia, Oceania, and Europe, and in the United States of America, often promoted on college campuses and by initiates ingratiating themselves in local congregations of various churches and denominations. Providence Church is itself a splinter group from the Unification Church founded by Sun Myung Moon. While Providence remains unified around Seok and his revelations, it goes by many names throughout the world, including Providence, Jesus Morning Star (JMS), Setsuri, Christian Gospel Mission, International Christian Association, the Bright Moon Church, Ae-chun Church, Young-dong Church, Nak-seong-dae Church, and Seoul Church. Providence also has established other organizations that ultimately lead to association with one of their churches; these organizations include the International Cultural Exchange (ICE), Bright Smile Movement, Sky Soccer, World Peace Model, Peace Model USA (PMUSA), and IOCA Modeling. Positions of Authority: Who is the Pastor? Seok and Providence Church places great emphasis on what they call “resurrection,” which is considered as going from “death to life.” This resurrection does not involve the physical body; physical death is accepted as a given. Instead, this “resurrection” is reckoned as continual and spiritual: as one gains more understanding and experience, one is continually resurrecting, ever further going from “death to life.” It is claimed that Jesus gained His standing before God because throughout His younger days He was resurrecting from death to life continually through the sufferings He experienced. Hebrews 5:7-8 is cited to explain how Jesus had to grow into His relationship with God, and John 11:25-26 is cited as a demonstration that Jesus is the resurrection even before He was raised from the dead. Who in the days of his flesh, having offered up prayers and supplications with strong crying and tears unto him that was able to save him from death, and having been heard for his godly fear, though he was a Son, yet learned obedience by the things which he suffered. Or are ye ignorant that all we who were baptized into Christ Jesus were baptized into his death? We were buried therefore with him through baptism unto death: that like as Christ was raised from the dead through the glory of the Father, so we also might walk in newness of life. For if we have become united with him in the likeness of his death, we shall be also in the likeness of his resurrection. Baptism is reckoned as a spiritual death and resurrection, yet baptism and its resurrection are a one-time event. The New Testament does not speak of the life transformation of a Christian in terms of resurrection; instead, it is spoken of as becoming conformed to the image of Christ (Romans 8:29), manifesting the fruit of the Holy Spirit (Galatians 5:22-24), seeking that which is above, being renewed through knowledge into the image of Christ (Colossians 3:1-10), and such like. In the New Testament, the resurrection is primarily a matter of the raising of the physical body. The word for resurrection, anastasis, denotes “standing again,” and is used to describe the reconstitution and reanimation or resuscitation of dead bodies (Matthew 27:52-53, Hebrews 11:35; cf. 1 Kings 17:19-24, 2 Kings 4:18-37) and the resurrection of Jesus of Nazareth from the dead, never to die again, on the third day after His death on the cross (Matthew 28:1-16, Mark 16:1-20, Luke 24:1-53, John 20:1-21:25, Romans 6:3-11, 1 Corinthians 15:1-28). Resurrection is also used to describe what will take place for all people on the final day of judgment, and it is associated both with people coming out of the tombs and in the same terms as the resurrection of Jesus (John 5:28-29, 1 Corinthians 15:29-58, 1 Thessalonians 4:13-18). Paul speaks of the resurrection as the “redemption of the body” (Romans 8:23). Resurrection, throughout the New Testament, is consistent with the picture first seen in Daniel 12:2: those sleeping in the dust of the earth will awake; the physical body will be raised. Seok and Providence Church also speak of people as presently able to have the spiritual body of 1 Corinthians 15:35-49. Yet in that passage Paul clearly speaks of the spiritual body as something to be gained in the future. Paul there explains the nature of the transformation necessary in the resurrection, since flesh and blood, the perishable, cannot inherit the Kingdom, the imperishable (1 Corinthians 15:50); therefore, the mortal and perishable must be transformed, “putting on” immortality and imperishability (1 Corinthians 15:51-53). This will happen on the day of resurrection: the mortal, physical body, empowered by the psuche, the breath of life, will rise and be transformed into a body empowered by the pneuma, the Spirit, immortal and imperishable. The contrast between the “natural” and “spiritual” bodies is less about the flesh versus the spirit and more about the nature of the body today and the body in the resurrection and how they are empowered. This is difficult to convey in English; the “natural” body in 1 Corinthians 15:42-46 is Greek psuchikos, literally, “psychical,” the body which has the psuche, the breath of life, empowering it, as seen in the first part of the contrast of 1 Corinthians 15:45 (cf. Genesis 2:7). The “spiritual” body in 1 Corinthians 15:42-46 is Greek pneumatikos, literally, “pneumatical,” the body which has the pneuma, the soul or Spirit, empowering it, made evident in the second part of the contrast of 1 Corinthians 15:45 (cf. John 4:7-15, 7:37-39). The “psychical” comes before the “pneumatical”; we live presently in the “psychical” and look forward to the day of resurrection and transformation. But what of Hebrews 5:7-8 and John 11:25-26? Jesus learned obedience through what He suffered, but in the New Testament that suffering is primarily concentrated on what He experienced on that final night and day (cf. Luke 22:39-23:46). Yet this education was purely experiential; as the Word made flesh Jesus already knew all things (John 1:1, 14, 18, 2:23-25), and did not need to grow into His relationship with God which existed from before the beginning (John 1:1-18, 14:5-14). Through His life in the flesh Jesus experientially established what He and His Father already understood in cognition, and is therefore able to mediate between God and man as the ultimate High Priest, which is the essence of the point of the Hebrew author in Hebrews 4:14-5:10. In John 11:25-26, Jesus does declare Himself the resurrection even before His death and resurrection, yet does so in the same way He is the life before His death and resurrection: He knows who He is, what He is accomplishing, and it provides efficacy in the present. Even the Gospel of John makes it clear that the reason why anyone can find eternal life in Jesus is on account of His death and resurrection (John 3:14-17, 10:9-18, 12:23-32); the rest of the Bible also provides this witness (Romans 5:6-11, Hebrews 7:12-9:28, 1 Peter 2:18-25). One cannot separate what Jesus does in His life with what He accomplishes in His death and resurrection; without His death and resurrection, He cannot be who He claims to be (1 Corinthians 15:12-20). The bodily resurrection of Jesus of Nazareth remains the centerpiece of the Gospel because it is the basis of the good news of Jesus to the world. Physical death is not just the way the creation was always supposed to work; it is part of the corruption introduced when man sinned (Genesis 3:1-23, Romans 5:12-18, 8:17-24). Since Jesus died and was raised again in power, overcoming sin and death, Christians have confidence in Him regarding the final day upon which the final enemy, death, will be conquered, all will be raised immortal and incorruptible, and God’s people will experience no more death, no more suffering, and no more sin in the resurrection (John 5:28-29, Romans 8:1-39, 1 Corinthians 15:20-58, Revelation 21:1-22:5). This is the resurrection of which the Bible speaks, and the re-definition of resurrection suggested by Seok and Providence Church is to be found incompatible with what the Scriptures teach. In the theology of Seok and Providence Church, God is not able to know what decision humans will make until they make them lest, in their view, God negates human free will. This is how Seok and Providence Church explain why so few have attained to this knowledge: only a few have truly sought it and were able to resurrect sufficiently so as to understand it. Yet what do we see in Scripture? But he spake of the temple of his body. When therefore he was raised from the dead, his disciples remembered that he spake this; and they believed the scripture, and the word which Jesus had said. When Jesus therefore had received the vinegar, he said, “It is finished”: and he bowed his head, and gave up his spirit. In all of these Scriptures, and more, it is evident that Jesus most assuredly accomplished what He came to do, that He left nothing unsaid or undone that He was to say or do, and that such was God’s purpose for Him from the beginning, attested to by the prophets who spoke of His suffering and resurrection (Psalm 22:1-31, Isaiah 52:13-53:12, Hosea 6:1-3). Jesus did tell His twelve disciples that they would do greater works than He in John 14:12, but He also provides the key to understanding what He is saying. He is not saying that others will have to finish what He could not, since the ability of those who follow Him to accomplish those works is dependent on Jesus going to the Father in order to obtain His Kingdom (cf. Daniel 7:13-14, Hebrews 9:1-10:25). We can see the evidence of these “greater works” in the Apostles: whereas Jesus taught them fully and in part to many in Israel, the Apostles would spread the message to both Jews and Gentiles throughout the Roman world (Acts 1:8, Colossians 1:5-6); whereas Jesus had but 120 followers after His death, resurrection, and ascension, there would be thousands upon thousands of followers through the proclamation of the Gospel by the Apostles (Acts 1:15, 2:41, 4:4, 21:20). These “greater works” were not dependent on the development of relationship between God and the Apostles because the latter had sufficiently resurrected, but were the result of the pouring out of the Holy Spirit upon them, not because of their intrinsic worth or through their efforts but through the foreordained will of God since they had been eyewitnesses of Jesus in His life, death, and resurrection (Joel 2:28-32, Matthew 18:18, Luke 24:36-49, John 15:18-27, 16:4-15, 20:22-23, Acts 1:15-2:41). If anything, the Apostles would have proved quite unworthy, since they demonstrably did not understand the truth about Jesus until after His resurrection and the outpouring of the Spirit! We have said much about matters relating to divine sovereignty and human freedom in Calvinism: TULIP; whereas Calvinism over-emphasizes divine sovereignty to the detriment of human freedom, Seok and Providence Church have gone too far the other way, almost rendering God as subservient to the capricious whim of humanity. The Apostles understood that God was all-powerful (omnipotent), all-present (omnipresent), and all-knowing (omniscient), transcending the space-time continuum (Acts 17:24-28, Romans 11:33-36, 13:1, 2 Peter 3:8, 1 John 3:20). Paul declares that God predestines those whom He foreknew would follow His Son so that they could become conformed to His image (Romans 8:29-30), going on to declare that God chose us in Christ even before the foundation of the world (Ephesians 1:3-4)! Paul had such confidence in God because he had experienced God’s specific call: he had seen Jesus the Risen Lord on the road to Damascus because God had chosen him to proclaim the Gospel to the Gentiles, even before the Gentiles were added to the faith (Acts 9:1-16, 10:1-11:15, 26:14-18)! In no way does this infringe upon man’s free will: Paul still had to choose to submit to the Lord Jesus, and those who accomplish what had been prophesied did so without understanding what they were doing (cf. Acts 3:17-18). The interplay between God’s sovereignty and human free will seems contradictory and is beyond our understanding, but we can trust that God exercises His sovereignty, knows all that has been, is, and will be, and has made provisions for those who follow His Son Jesus to be saved, and yet such does not infringe upon man’s free will. Likewise, man’s free will decisions do not put God in a bind or ultimately hinders His purposes; in fact, God often accomplishes His purposes through unwitting agents otherwise (cf. Isaiah 10:5-19, 45:1-7). In short, God’s foreknowledge or even predestination need not invalidate man’s capacity to make free will decisions, and if God really is who He says He is, He will make provision for or perhaps even work through disobedient humans. A god who cannot know the future and man’s decisions in advance is as subject to the space-time continuum as humans and therefore is no god worthy of the title and especially not YHWH, God the Creator, the God of Israel. The Bible is quite clear: God knows the end of a thing before its beginning, God spoke through His prophets regarding the life, death, resurrection, and lordship of Jesus before it came to pass, Jesus accomplished the work which God established for Him fully, and there was not going to be a need for someone to come later with an even greater understanding than Jesus (Isaiah 46:10, Acts 2:22-36, 3:17-19, 13:26-29, 1 Peter 1:10-12). Jesus, in His life, death, resurrection, and ascension, along with His work which He did through His Apostles and the Holy Spirit, fully accomplished the purposes of God and has provided full revelation until the end of time (John 16:4-11, 17:4, 19:30, Acts 1:1-3, 2:1-41, Jude 1:3). None could have a more intimate relationship with God than Jesus; the best we can do is to seek to have a relationship with God through Jesus (John 17:1-23, Ephesians 1:1-13, 1 John 1:1-4). Therefore, Seok and Providence Church do not teach according to the Scriptures in regards to Jesus’ mission and human free will. When it comes to characterizing the depth of one’s relationship with God, Seok and Providence Church speak of three levels: slaves, children, and bride. They speak of it in terms of greater intimacy: one has contact with a slave, but not much; one has much contact with a child, but still keep some things hidden or reserved; with one’s bride one is fully intimate and reveals all things. The goal for people, according to Seok and Providence Church, is to become a bride, one who has so resurrected and gained such revelations and direct communication with God so as to understand the real message of Scripture that they have reached the similar spiritual levels as Jesus and Jung Myung Seok himself. It has been reported that Seok and Providence Church also use this paradigm to explain three ages: the Old Testament is as the age of the slave, with Moses as the great figure pointing the way to God, the New Testament is as the age of the child, with Jesus as the great figure pointing the way to God, and the present is the beginning of the Complete Testament, the age of the bride, with Seok as the great figure who has now been given the full, complete revelation. The Bible does speak of the relationship between God in Christ and man in terms of Master and slave (Luke 17:7-10, Romans 6:16-23), Father and child (Luke 15:11-32, Romans 8:11-15), and Husband and Bride (2 Corinthians 11:1-2, Ephesians 5:22-33, Revelation 21:1-22:6), yet these images are not presented in terms of some kind of developmental hierarchy. The predominant description of the relationship between God and Israel in the Old Testament is that of Husband and wife (Isaiah 50:1, Ezekiel 16:1-63, Hosea 1:1-3:5); thus God describes His covenant relationship with Israel in terms of great intimacy. The New Testament envisions Christians as simultaneously slaves of the God the Master and adopted sons and daughters of God the Father, and beyond the dispensation of authority to the Apostles, never suggests that certain Christians gain greater access and intimacy over other Christians (Matthew 18:18, Luke 17:7-10, Romans 8:11-15). Christians who enjoyed face to face personal association with Jesus, such as Peter, John, even James and Jude His half-brothers, still speak of themselves as slaves of Jesus (James 1:1, 2 Peter 1:1, Jude 1:1, Revelation 1:1); if they did not feel as if they had grown out or matured beyond being slaves of the Lord Jesus, how can anyone who come afterward honestly, humbly, and accurately believe that they have done so? In terms of the Bride, individual Christians are never reckoned as the bride of God or Christ; instead, the collective church is considered the Bride of Christ, and the intimacy of that relationship is based less in the personal spiritual transformation of the believers and more in Jesus’ cleansing and choice of His bride (Ephesians 5:22-33, Revelation 21:1-22:5). 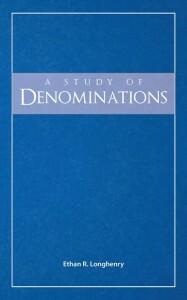 There is therefore no basis, from the New Testament, to speak of a gradation of levels of understanding and spiritual development in terms of servants/slaves, children, and brides; instead, the Old and New Testaments use all three images to describe the relationship between God and His covenant people, and in the New Testament, all Christians are simultaneously slaves and children of God while collectively representing Christ’s Bride. This three-level gradation has the appearance of soundness but has no substantive basis in the Bible. O Timothy, guard that which is committed unto thee, turning away from the profane babblings and oppositions of the knowledge [Greek gnosis] which is falsely so called; which some professing have erred concerning the faith. Grace be with you. Take heed lest there shall be any one that maketh spoil of you through his philosophy and vain deceit, after the tradition of men, after the rudiments of the world, and not after Christ: for in him dwelleth all the fulness of the Godhead bodily (Colossians 2:8-9). [Jesus], who being the effulgence of his glory, and the very image of his substance, and upholding all things by the word of his power, when he had made purification of sins, sat down on the right hand of the Majesty on high (Hebrews 1:3). Beloved, while I was giving all diligence to write unto you of our common salvation, I was constrained to write unto you exhorting you to contend earnestly for the faith which was once for all delivered unto the saints (Jude 1:3). The New Testament thus teaches that in Jesus we have the most complete expression of the nature of God which can be revealed to man; in His life, death, resurrection, and lordship He expresses the very character of God and His attributes to mankind. What is to be known about the life of Christ has been revealed to us so that we can believe in Him and follow after Him (John 20:30-31). The faith which is in Christ was fully revealed by His Apostles after Him (Jude 1:3). No one since has seen the Risen Lord while in the flesh; no one since has been an eyewitness to the life Jesus lived. What more can be made known about Jesus in a manner consistent with how Jesus first revealed Himself to mankind? Absolutely nothing. Furthermore, Jesus and the Apostles did not leave Christians without any knowledge about what would happen in the future. The Old Testament pointed to Christ and His Kingdom (1 Peter 1:10-12); Jesus and the Apostles do not point forward to Seok or a “complete testament,” but an expectation of the end of time, the day of judgment, and the resurrection (Matthew 25:1-46, Acts 17:30-31, Romans 2:5-11, 2 Peter 3:1-13, Revelation 20:11-22:5). Therefore, Seok, Providence Church, and their teachings of a “complete testament” come without any antecedent in Scripture, and therefore have no validity when attempting to claim the Old and New Testaments as their historical precedent. The prophets of Israel appealed to Israel to hearken to the Law of Moses (Amos 2:4); Jesus and the Apostles grounded their message about the Kingdom of God in terms of the fulfillment of what God had spoken in the Law, the Psalms, and the Prophets (Luke 24:44-49, Acts 17:1-3, 11-12). Christians, therefore, should expect for any new revelation, if it were to have any validity, to be consistent with what has been revealed before. We have seen that the teachings of Jung Myung Seok and Providence Church are not consistent with the way God has worked with mankind in Abraham, Israel, and through Christ and His Kingdom as revealed in the Old and New Testaments. Instead, the message of Jung Myung Seok and Providence Church are consistent with the Gnostic heresy, attempting to lead people astray from Christ in the pursuit of esoteric spiritual knowledge (1 Timothy 6:20-21). Seok and Providence Church seek to maintain the appearance of being just another Christian denomination, yet both in reality and in actual instruction consider themselves as having reached greater spiritual development than can be found in Christianity, and that Christianity is as Judaism, outdated and outmoded. Therefore, be not deceived: Jung Myung Seok and Providence Church are not truly promoting Jesus of Nazareth and His Kingdom, but promote a new religion surrounding Jung Myung Seok and his supposed revelations from God. Please do not be led astray by this religion! 1: Neither Seok nor Providence Church maintain a website nor do they publicly post their teachings. The information throughout this lesson is gleaned from personal conversations with an initiate and corroborating testimony from Wikipedia and Providence Cult Watch. Hey.. Please respond quickly to this if possible.. I was curious if youve heard the claims that this “Teacher” is a terrible sexual abuser and if you believe that? Also I was wondering if you agree or disagree about their interpretation of the Second Coming where the earth will not literally be destroyed by fire.. but “The Word” is actually that fire which awakens people spiritually? Also have you heard their interpretation of the Fall and do you agree with it? Thank you so much and please respond quickly if possible! I’ve heard the claims about sexual abuse and know he has spent time in jail for such charges. I would imagine that there is something behind them. I would not agree with any such interpretation about the Second Coming, which will feature the resurrection of life and condemnation, and those who experience the resurrection of life will enjoy transformed bodily existence in the new heavens and earth in which righteousness dwells. Spiritualizing and “enlightenment” interpretations such as are in vogue in the Providence Church are Gnostic, not Christian, and subject to the same condemnation. What about their interpretation of the Fall?